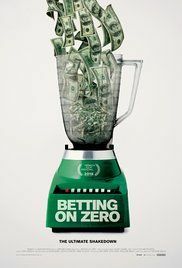 The documentary follows billionaire hedge fund titan Bill Ackman and several former Herbalife distributors after Ackman takes a billion dollar short position in Herbalife, alleging it is a pyramid scheme destined to collapse. The film also chronicles Ackman's feuds with Herbalife CEO Michael Johnson and investor Carl Icahn, and the resulting controversy over both the short and Herbalife's business practices. Read more on Wikipedia.